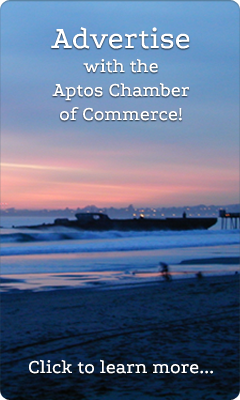 The Aptos Community Enhancement Committee meets once a month and provides support and solutions for issues within the Aptos Community. A branch of the Community Enhancement Committee which sponsors mural projects around Aptos to combat graffiti and give local artists a way to showcase their talent. A new sub-committee chaired by Sgt. Shea Johnson, Aptos Sheriff’s Service Center. For service to the community through Santa Cruz State Parks. For bringing the historic building back from years of disrepair. For outstanding service to the community as Director of the Santa Cruz County Parks Department. For development of the Aptos Graffiti Abatement Program and to Coast Commercial Bank for funding the program with a $500 donation. For 5 years of decorating the Aptos Village tree for the Tree Lighting. For community enhancement through local art. For exlempary service to the community through PVUSD. For the New building in Aptos Village.